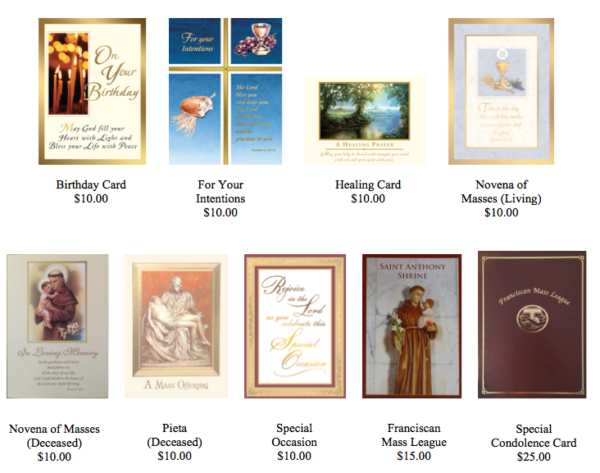 St. Anthony Shrine Mass cards can be purchased at the Information Booth in our lobby, by calling Br. Daniel at 617-542-6440 ext. 250, or by visiting https://stanthonyshrine.org/store/.